The new Sony Cyber-shot DSC-RX100 VA compact camera is now in stock and shipping in the US. The US price is $998. 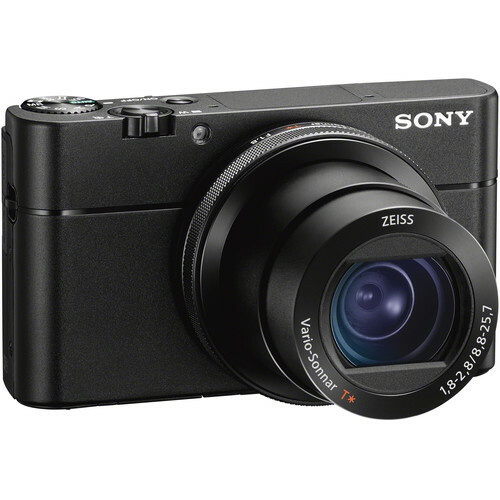 Sony RX100 VA: $998 at B&H, Adorama. Tweaking an already stellar pocket-sized camera, the Cyber-shot DSC-RX100 VA Digital Camera from Sony improves the existing RX100 V by increasing the buffer size to 233 images, reducing display lag time in the electronic viewfinder, and adding several small features over other aspects of the camera. With the 20.1MP 1″ Exmor RS BSI CMOS sensor, the RX100 VA can output detailed images at sensitivities up to ISO 12800.